The University of Lucknow conducts an entrance test for admission into Two years M.Ed. Course. 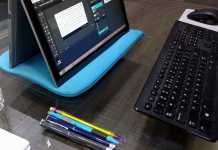 The admission to this course is done on the basis of M.Ed. Admission Test conducted by the university in accordance with the orders of Govt. of U.P., Lucknow University statutes and regulations of NCTE. Interested candidates can apply online at the Lucknow University’s website, which is, lkouniv.ac.in. Candidates must ensure that they fulfill the eligibility conditions before applying online. Register and fill in the required details in the online application form including uploading of photograph and signature. The application fee is to be paid through online mode only. 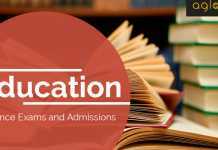 Latest: University of Lucknow has extended the last date to submit application form for Lucknow University M.Ed Admission 2019. Scroll down to apply for the same. The admit card and result will be published online only. Candidates can appear for the entrance test only after submitting the application form before the last date and showing the admit card at the examination center. The admission to M.Ed course will be done on the basis of written test and Interview. On the basis of it, a final merit list will be published at the University’s website. Check more details on Lucknow University M.Ed. Admission Test 2019 from the page below. A candidate can not pursue two Postgraduate degree courses simultaneously. The application form is available at the University website, lkouniv.ac.in. Candidates need to register first by entering the required details and submit it. On completing the registration process, applicants will receive their login details in the mobile number and email ID provided at the time of registration. Fill in other required details in the online application such as, Personal Details, Educational Qualifications etc. Upload photograph and signature as per the format. Verify if all the details provided in the application form are correct and submit it. Proceed to make payment for the application fee through the means of Credit Card, Debit Card, Net Banking. On completion of the above mentioned steps. print the complete application form and fee receipt to complete the application process. The admit card for Lucknow University M.Ed. Admission Test 2019 will be available online. Only those candidates will be issued the admit card who will submit the applications before the due completed in all aspects. The admit card can be downloaded by entering the login credentials as provided at time of registration. The admit card will contain the basic information about the exam such date, time and venue of the examination. The candidates will be granted admission on the basis of the marks obtained in the written examination and Interview, subject to fulfilling other eligibility criteria as laid down by the university. The written test will of 3 hours durations which will comprise of MCQ questions and short answer of 250 marks. This will be for a maximum of 10 marks. The interview round will be conducted to assess the power of expression, subject knowledge, teaching ability and personality of the candidate. Only those candidates would be eligible for admission to the M.Ed. program who have participated in both the written test and interview. A Final merit list will be prepared for admission to M.Ed. out of a maximum 310 marks. The merit will be prepared by considering the marks obtained in the written test (250 marks), academic index weightage (50 marks) and interview (10 marks). If the age of the candidates are same in such cases first preference will be given to the candidate who secures higher percentage of marks at B.Ed. or equivalent examination. If the marks secured in the B.Ed. or equivalent examination are same in such cases first preference will be given to the candidate who secures higher percentage of marks at Graduation examination. Lucknow university will published the overall merit list of M.Ed admissions for session 2019-2020. Candidates can check the same from the link that will be provided below. Also, candidates can check the information regarding counselling from below as well. University of Lucknow will be adopting an Off Campus Online Counseling for the M.Ed. programs. Candidates have to register and submit choices after the result has been declared. Detailed guidelines would be declared later. The prospective candidates are advised to keep visiting the University website regularly for announcements, notices and updates, because no separate information shall be sent to any prospective candidate. 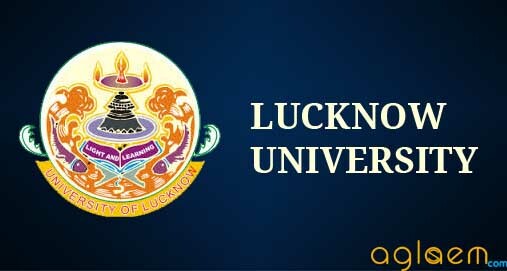 Official Website for Lucknow University is www.lkouniv.ac.in. For more details on Lucknow University M.Ed. Admission Test 2019, download information brochure. When will be M.Ed. entrance exam results declared? Till now there is no official announcement regarding result once released you will be updated here.